2 How do AR-applications help to increase sales? 3 How can AR be used? What is an AR app? Just remember these thousands of photos with extra big eyes and noses in social networks. This effect is AR technology. AR applications provide digital objects which are reflected on smartphone screens or on screens of wearable devices, complementing the real world with new information. And this information can be as various as possible – gaming, educational, commercial. With the development of technologies, Augmented Reality will become a substantial part of our daily life. Now more and more data are being created and accumulated, and Augmented Reality App Development will serve as a bridge for access to a huge amount of information. And Augmented Reality will be integrated so deeply that it will be perceived intuitively. The term “Augmented Reality” itself, perhaps, will cease to be used, and digital data will be considered a part of reality. The main thing is that the augmented reality enables us to a new level of interaction with the digital world without having to abandon the habitual environment, and completely immerse ourselves in virtuality. The platform from the Cupertino-based enterprise allows to create augmented reality apps for iOS devices. It supports such AR engines as Unity, Unreal Engine, and Scenekit. It allows the iPhone camera to interact with real objects. The technology was already adopted by Peter Jackson’s studio. Using Unreal Engine and ARKit, its team has created a game with fighting ships capable to fire at the city on a real table. When considering Google Tango technology, everyone can see that it offers, in fact, the same, as ARKit: tracking of the movement, fixing of an object on the Android gadget screen and projection of the image on a table to view it from different angles. It is a set of effects which expands possibilities of photos and videos with Facebook’s camera effects. 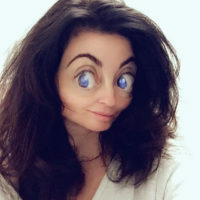 However, unlike similar effects in Snapchat, the technology here enables to distinguish not only persons, but also other objects – clothes, jewelry, cars, food, landscapes. So that the companies have new prospects in creation of advertising posts. How do AR-applications help to increase sales? 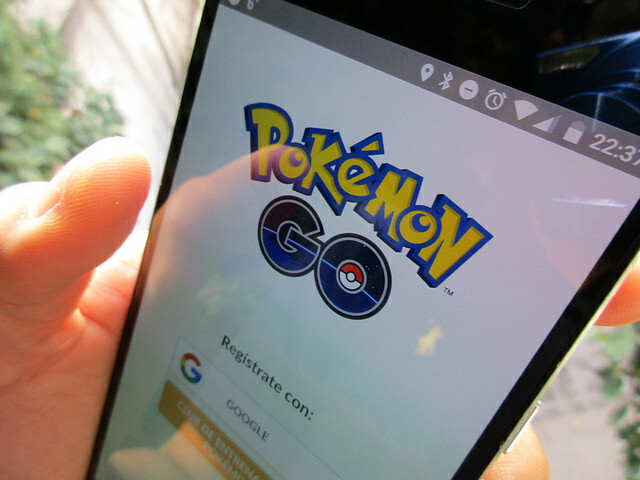 The hype around Pokemon hunting with smartphones has shown how the huge audience an engaged audience can be. Development of AR-applications is a promising direction, and the commercial boom of use of technology hasn’t come yet. 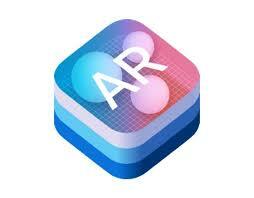 AR-applications can be a technological power that creates the competitive advantage for a company. It provides new, fascinating experience for users leaving no one indifferent. Even now, it is possible to see synthesis real and virtual worlds when using augmented Reality glasses, such as Google Glass, Epson Moverio, or Toshiba Glass. These are opportunities for developers of educational applications, games, and various services. The range of use of AR technology for both Augmented Reality glasses and for smartphones is very wide. Augmented reality offers users new options they surely want to try. We mentioned the most striking example above – the game Pokémon GO that has won millions of fans worldwide. AR devices enable users to get the necessary information about an object using only the camera. So, for example, Google Translate helps understand various inscriptions on billboards, signs, documents using AR. The translation appears on the gadget screen at once. Museums, shops, airports and any other places of interest can use AR in a similar way. There are companies for example, Navion offering car owners absolutely new driving experience using special devices that project tagged maps and instructions onto the windshield of a car. There are also Augmented Reality-based navigation services for smartphones. Wearable devices and special software help buyers to better consider the product and see how it will look in the interior. 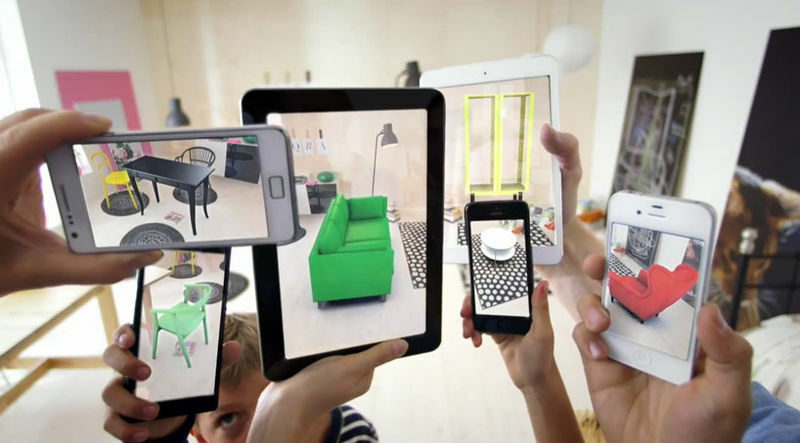 This approach is offered, for example, by Ikea who provide their catalogs with an AR app that enable to see any item on the smartphone screen as a part of the room furniture or decorations. Even more useful application of AR technology can be found in the field of health, especially in the treatment of phobias or personality disorders. Imagine a person with phobia (fear of snakes), who undergoes exposure therapy (gradual increase in the impact level of the of the object that causes fear, from the sheet with the written word to the actual interaction with the object). Thus, at a certain stage of treatment, patients can use an application that displays a snake near them to inform of the desired level of exposure. When traveling, it can be very convenient to know at once which building is in front of you or to find interesting places nearby. The same principle can be applied for advertising: the user sees offers and information about store discounts, simply pointing smartphone camera on the shopping center’s hall. Everyone has probably heard about Pokémon GO and MSQRD. Both use Augmented Reality technology for rich user experience. In the game Pokémon GO users can see creatures in front of them, which do not exist in reality. A successful start-up MSQRD from Belarus allows users to try on various masks adjusting them to facial expressions and emotions. These applications have millions of fans, so we can say that Augmented Reality can make a product with an outstanding user experience. Similar AR applications can be used for children giving them joy of playing with revived pictures,books or etc. The development of expanded reality provides an attractive experience for users and new opportunities for companies that are keen to keep up with the times, offering cutting-edge solutions. AR technologies have a great future, their massive use is not far off, and it’s important not to miss the moment when you can still be one of the first who created a new application using Augmented Reality technology that can increase sales for your business.